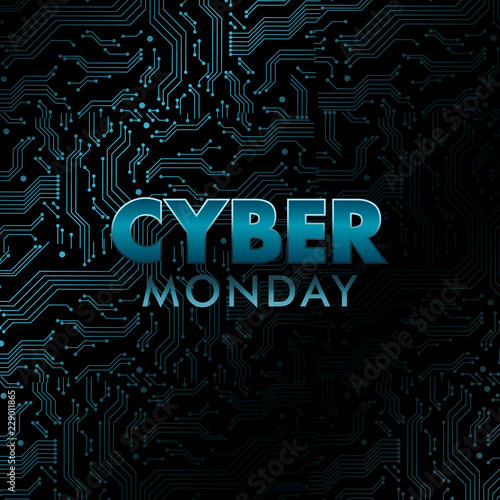 Holographic Cyber Monday banner. Circuit board pattern with blue neon texture. Vector illustration.